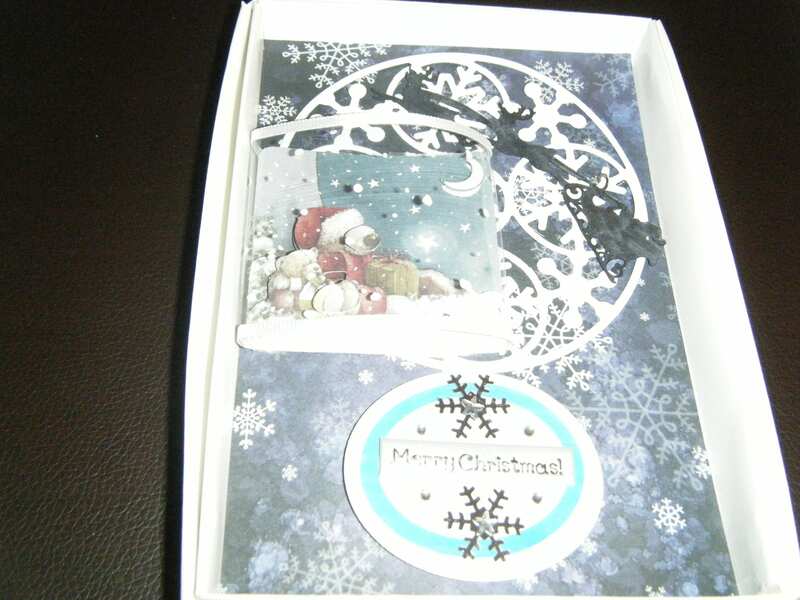 Handmade Decoupage Christmas Card With Acetate Dome Trimmed With Ribbon In Box. Decoupage Design Is Wellington With Teddy friend Looking At The Stars And Moon. Card Design Is Snowflake Backing Paper With Die Cut Snowflake Paper Moon Father Christmas In Sleigh. Card Size Is 16.5 x 11cm.